Caption slip reads: "Photographer: Miller. Date: 1961-09-07. Reporter: Bernstein. Assignment: Radiation. G.E. 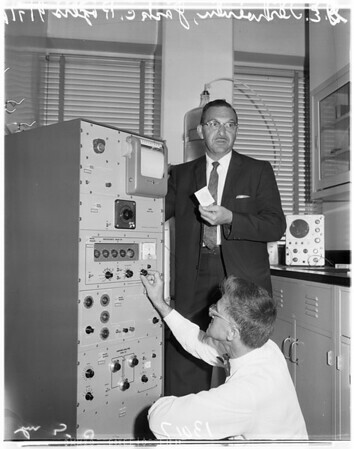 Terhoeven, Industrial Chemist, & Jack C. Rogers, director Division of Occupational & Radiological Health. Rogers on roof".